Abdominoplasty, often called a “tummy tuck,” is a popular procedure used to flatten and shape the abdomen by removing excess fat and skin and tightening muscles. Dr. Meininger has been performing tummy tucks with excellent cosmetic results for many years. Patients love the look of their new flat stomachs after surgery under Dr. Meininger’s exceptional care. Dr. Meininger will make two incisions: one from hipbone to hipbone close to the pubic area, and another around the navel. He will separate the skin from the abdominal muscles, which are then pulled together and stitched into place for a firmer abdomen and narrower waist. The skin flap is then stretched down and over the newly tightened muscles, excess skin is removed, and the navel is reattached in a natural position. Finally, Dr. Meininger will close the incisions and apply sterile surgical dressings over the sutured areas. After surgery, compression garments are worn and a temporary tube may be inserted under the skin to drain excess fluid from the surgical site. Recovery time ranges from two weeks to a few months. You should limit strenuous activities for at least six weeks, and may need to take off from work for up to a month. Dr. Meininger will give you specific instructions for your individual recovery. Following these instructions can help speed up your recovery and reduce the risk of any post-surgery complications. Partial abdominoplasty, or “mini tummy tuck”, is similar to the regular tummy tuck procedure, except it involves a shorter incision and the skin is only lifted to the navel, which does not have to be moved. 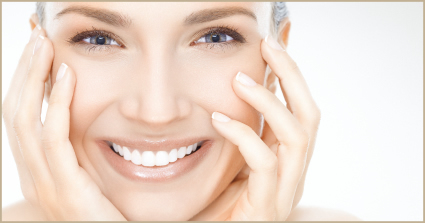 This procedure is ideal for patients who need just a little improvement in order to reach their desired results. You can discuss the differences between these procedures, as well as weigh their benefits and risks with Dr. Meininger in order to decide which procedure is best for you.